In this case, it’s “hip to be square!” This little piece of square perfection is the ideal wallet when you don’t want to carry much. It slips perfectly into the front pocket of your jeans, a Hip Bag and even a clutch. 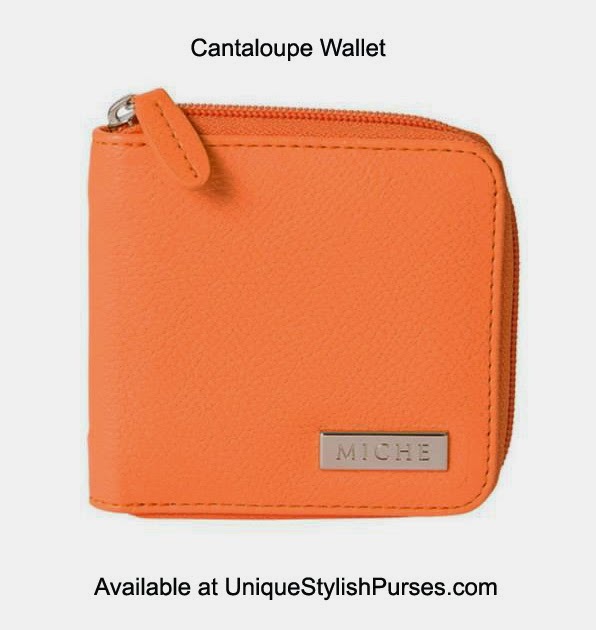 Pebble-grained cantaloupe orange faux leather features an interior zippered pocket for folded bills or change and an ID slot lined with floral fabric plus two additional card slots. Wrap-around zipper closure. Dimensions: 4” long x 4” tall. Silver hardware.